Keep the power flowing during the next outage! It is not a matter of if but when the power will go out. 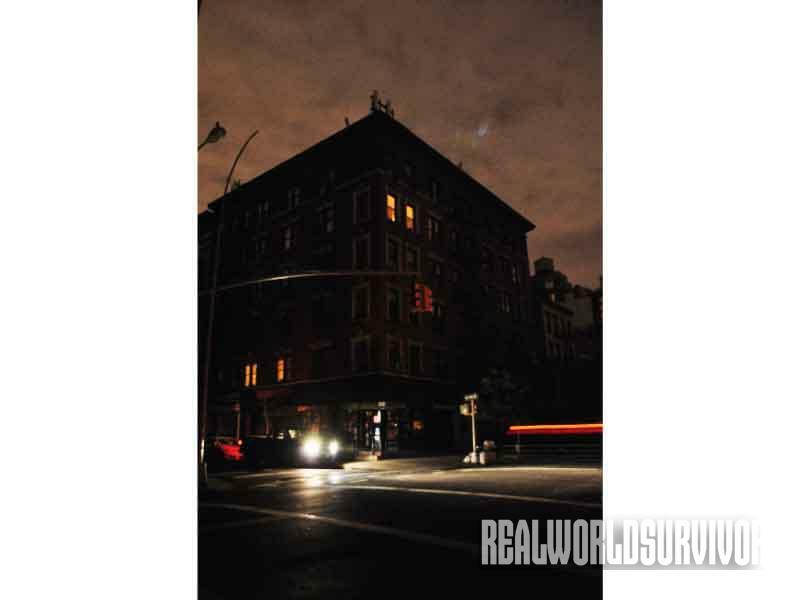 I lived through the New York City blackout of 2003 and quickly realized how dependent we are on power. 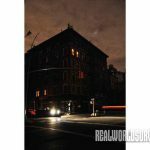 I remember a lone generator on a sidewalk powering up as many cell phones as could be plugged into it and apartment hallways that were pitch black even during the day. In moving to the country, there is a need for a bit of self-reliance, and I’ll never forget the words of our realtor as we closed on our country house: “We never lose power in this town.” In my gut I knew we needed a generator, and sure enough, not one month after we moved into our new house, a storm came up the East Coast and brought our town, and many towns and cities across numerous states, to its knees. The storm toppled trees, which in turn took out power lines. Our local roads were impassable for days. All anyone in our small cul-de-sac had was what was in our refrigerators and freezers. Luckily, we all had enough and shared water for everything from bathing and washing dishes to flushing toilets. A day or two was tolerable, but it lasted nine days. 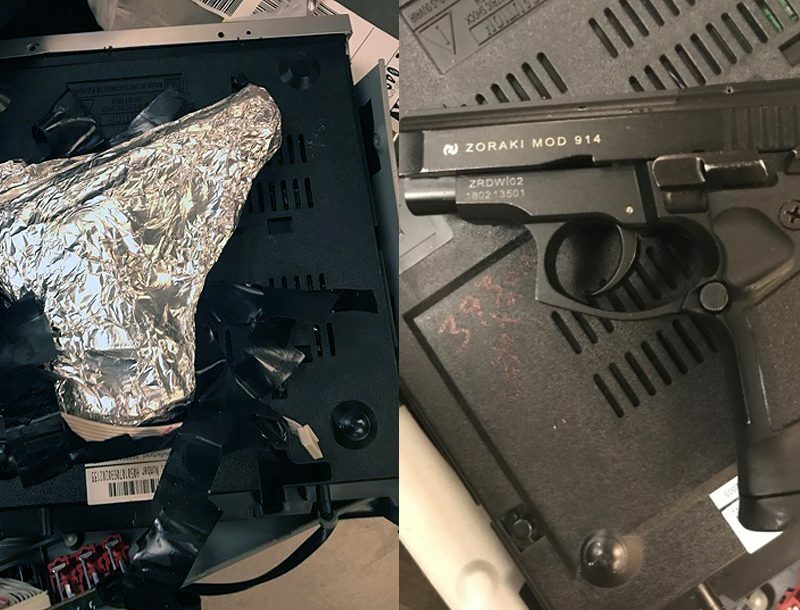 A generator made the difference between feeling human and not. When looking to outfit your home with a generator, you have two options: a portable generator or a standby generator. Standby generators are designed to automatically restore power in seconds. They run on propane, gasoline or diesel. Compared to a portable generator, a standby is more expensive. 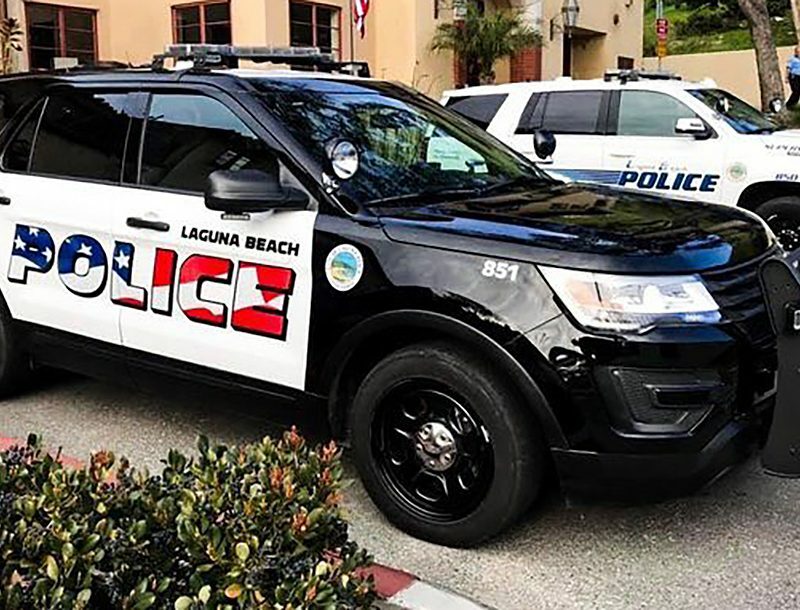 Just the generator can cost between $2,000 and $5,000 for a model to power a single-family home, and that does not include installation and other parts. The standby generator is a permanent fixture that requires a dedicated space just like a central air conditioning unit. 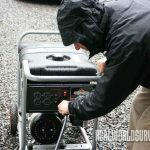 A portable generator also runs on gasoline, diesel or propane and, as the name implies, it is mobile and can be moved to where power is required. 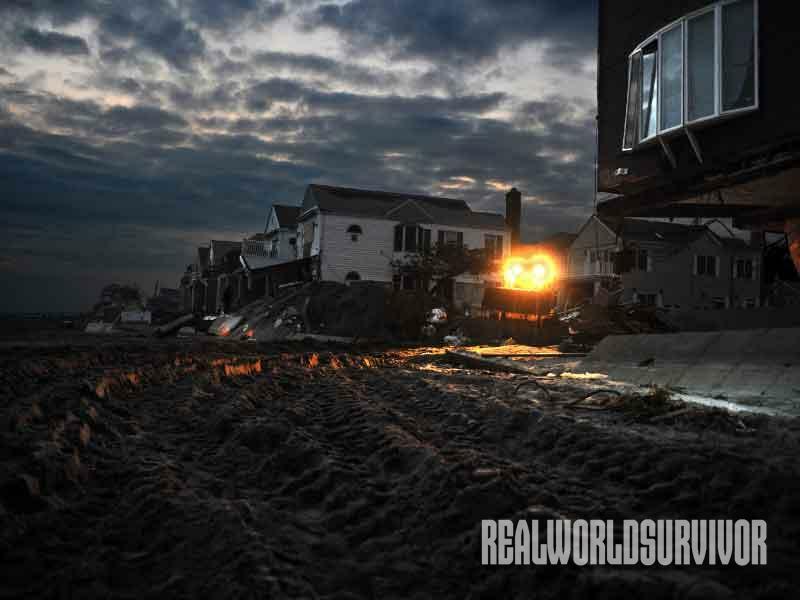 A portable generator may make sense for a homeowner who may need power in other remote locations. 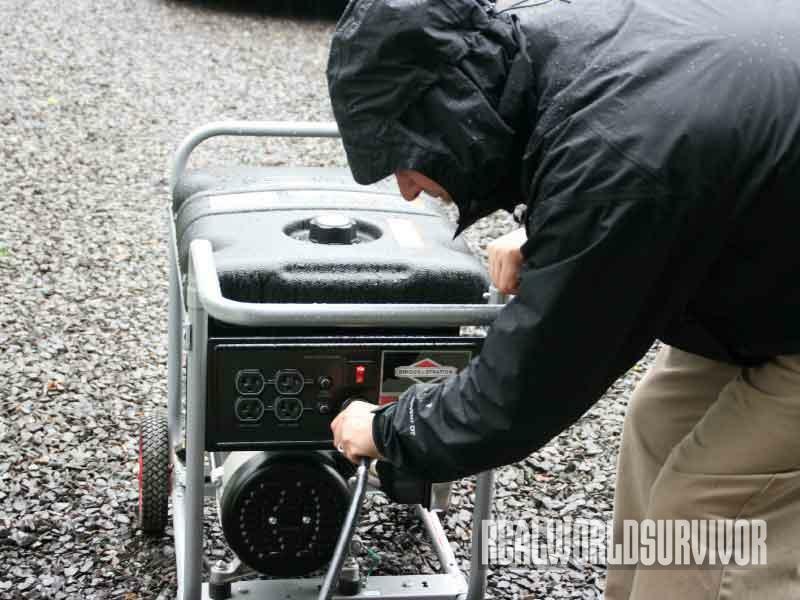 Portable generators are also less expensive and cost in the range of $300 to $1,000. The wide range in generator cost, for either a standby or portable, is the amount of wattage it is rated for. Your first decision, after determining your budget, is to determine your wattage needs. You can easily figure out what size wattage generator you need by filling out a checklist of appliances and power tools and their respective running watts and surge watts. Running watts is the continuous power an appliance uses under normal conditions. Surge watts, or start-up watts, is the extra power required for an appliance to start up. A refrigerator uses both surge and running watts—surge to kick in the compressor and running to keeping it going. A generator dealer or a search online can provide a complete checklist of estimated wattage use per appliance or power tool. 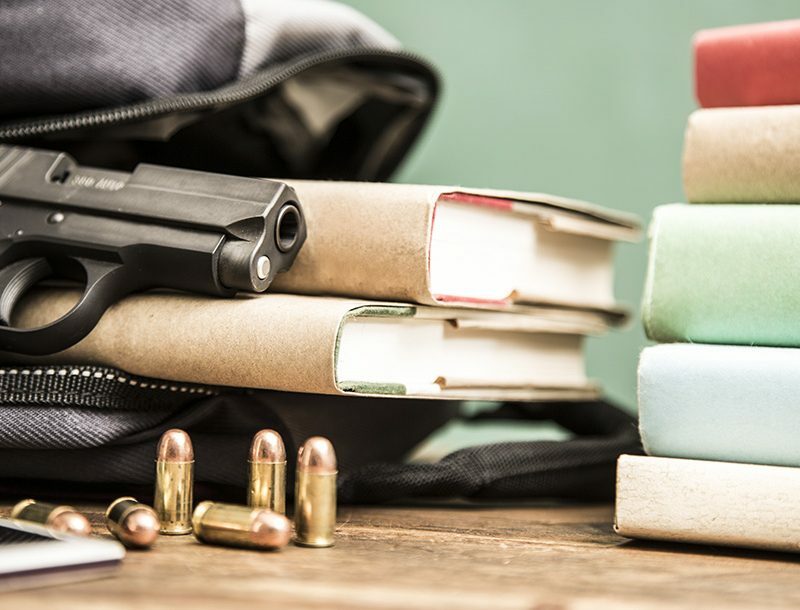 In planning for an emergency, make a list of the must-have items like the freezer, refrigerator, furnace, well pump, microwave oven, hot water heater, etc. Then make a list of the nice-to-have items like lights in a less used area of your home, oven, air conditioning, etc. 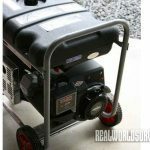 Your list of must-have and nice-to-have items can then help you determine your minimal investment in a generator. 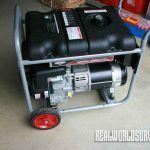 In my case, we knew a storm was coming toward us and we bought what was on the shelf, a 5,500-watt, gas-powered portable generator. It turned out to be an excellent investment, despite being a quick choice. Gasoline is quite plentiful and convenient to purchase. Diesel fuel is slightly harder to find as not all gas stations sell diesel. Propane is less convenient because it either needs to be delivered by truck to the generator (if you have a large storage tank) or it is purchased by the 20-gallon tank like those used for propane grills. 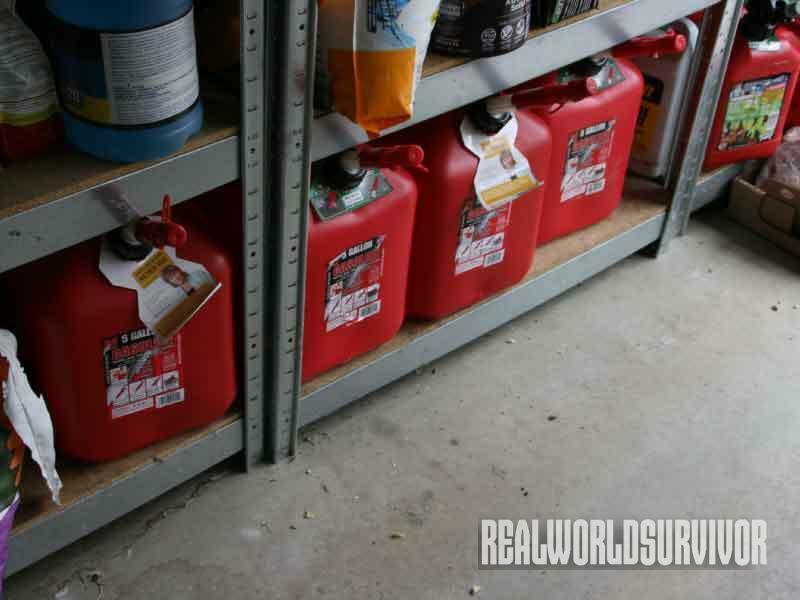 All fuel is dangerous to store so make sure your storage containers and storage area are safe. 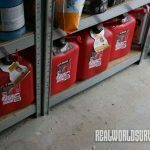 I purchased five plastic, 5-gallon gasoline tanks and keep them against the outside wall of the garage and away from any potential flame or spark. The containers are ergonomic so it is easy to pour the fuel from them into the generator’s tank. 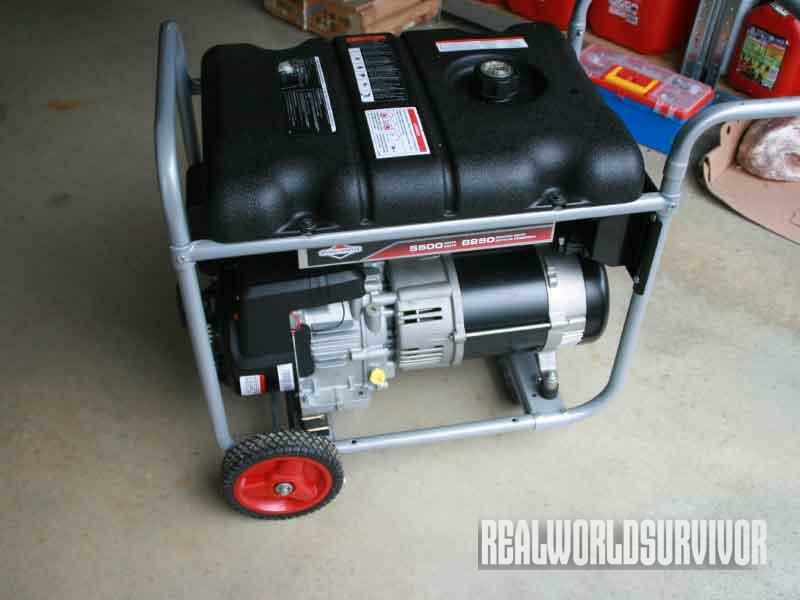 You will be filling the generator’s tank numerous times, so ease and safety are important. I only store gasoline for a few months and tend to use older gas in a vehicle. Diesel and propane have a longer shelf life, so if that is important to you then plan accordingly. 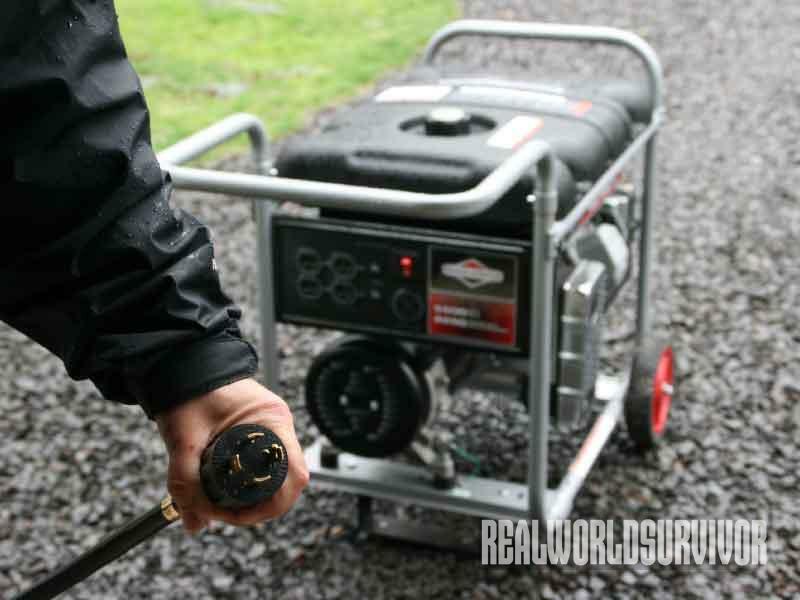 Since generators run off of fuel, it is important to locate them outside and away from the home. Fumes can build and cause carbon monoxide poisoning, which can cause death. 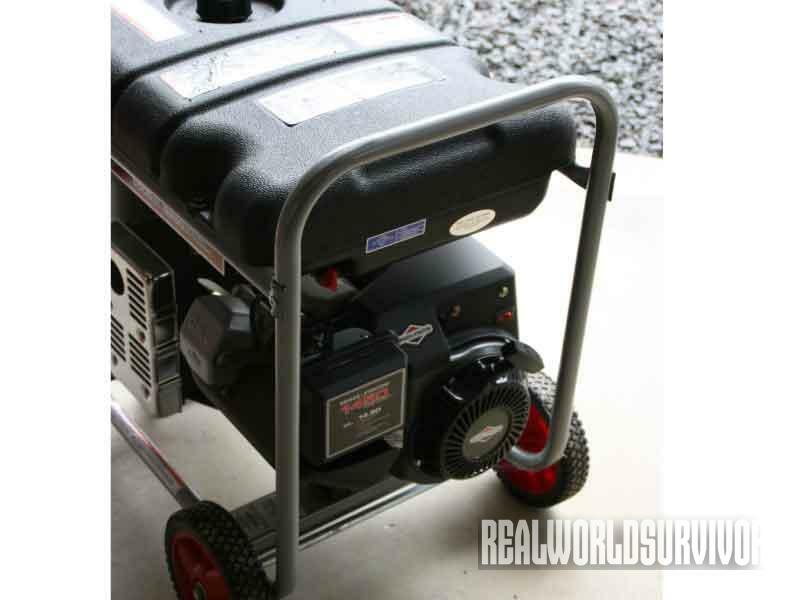 The next item you may want to purchase is a generator transfer switch. This switch is hard-wired into your home’s current electric panel and allows you to choose which circuits to run on the generator. The transfer switch also allows the electric company technicians to work safely on downed power lines, as the power from your generator is not going out your home. The switch keeps everything contained to your home. I purchased a switch with six circuits and hard-wired it to the refrigerator, furnace, well pump, kitchen outlets and more. I had a licensed electrician install the transfer switch in the basement, next to the electric panel. A line from the transfer switch runs from the basement up to a box in my garage, where I store the generator. 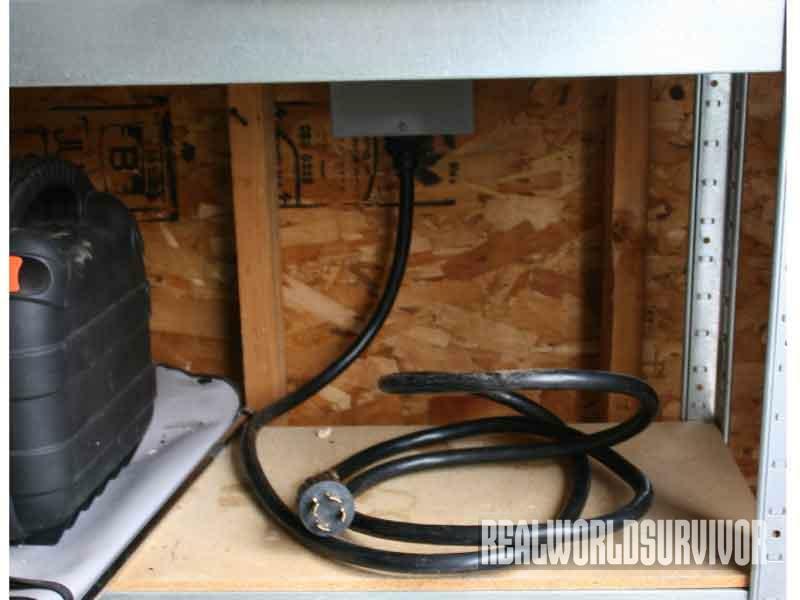 The transfer switch connects via a heavy-duty 30-amp cord to the generator. The cord has a four-prong plug that is inserted into the box outlet on one end and the generator on the other end. The plugs are then twisted slightly to lock them in place. 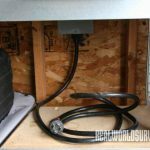 The heavy-duty cord allows me to locate the generator in a well-drained area away from my home so there is no possibility of fumes entering the house or of water puddling under a machine that’s capable of producing 5,500 watts. Without the transfer switch you will need to run extension cords from the generator to the plugs of the appliances you want to power. Trust me, running power cords through your house is not convenient. The cords are like jungle vines and can create a safety hazard. The time it takes to get my portable generator running is quick. 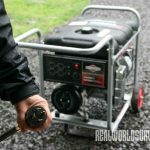 First, I break the generator out of storage, place it outside, fill it with fuel and start it—then it is just a matter of connecting the cable, flipping the transfer switch and flipping the power switch on the generator to push power to the appliances. Since the weather will not be cooperating with you at first—or at least until it blows through—you will need to build a shelter to cover the generator from rain or snow. I built my own shelter out of fencing and a waterproof tarp. The fencing keeps the tarp away from the generator exhaust so there is no fear of a fire, and the tarp keeps water off the generator and helps dampen the sound. The fencing folds flat for storage. There are many manufacturers that offer plastic generator shelters that insulate the sound while allowing exhaust to flow and protecting the generator from the elements. For moral well-being during an emergency situation, a sound-dampening shelter is a good idea. The droning of a generator is incessant, and it can sound like a lawnmower outside your bedroom window at night. When the power goes out, within 10 minutes I am back online as if nothing happened. In emergency situations, when utilities can be cut and not back online for days, a generator can provide a hot shower and hot meals, keep you warm or cool, and make you more self-reliant. 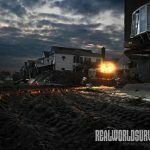 Whatever Mother Nature doles out, a generator can mean the difference between a bearable situation and a struggle to survive. See this quick video to learn how to use a portable generator safely. 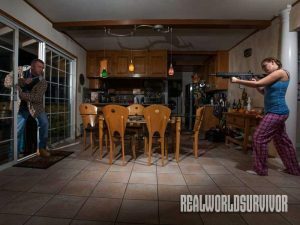 Proven home defense methods to up-armor your castle and protect against intruders!